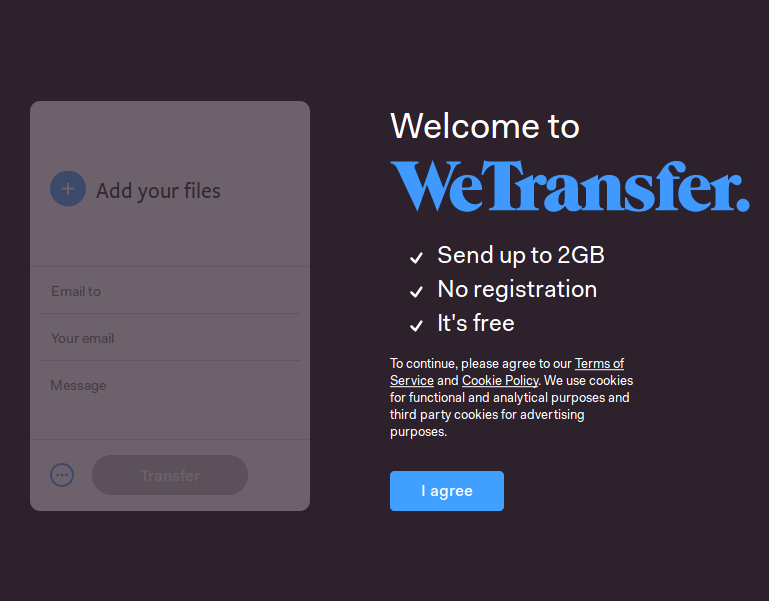 WeTransfer is an online file sharing service which allows file transfers upto 2GB for free. No sign up is needed to send files. As it is an online service, it can be accessed using any browser. 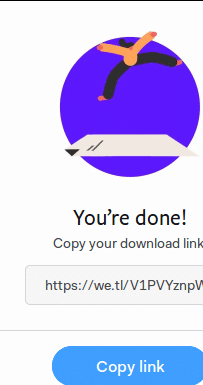 Go to WeTransfer and click I agree. Next, add the recipient email address along with yours and a message if needed. Then add the files to be transferred. 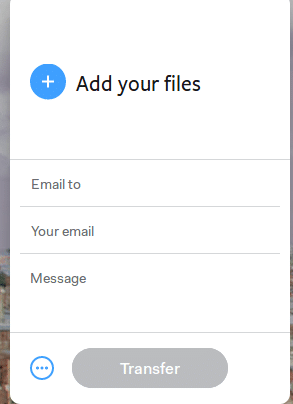 There are two ways to send these files : by email or through link. 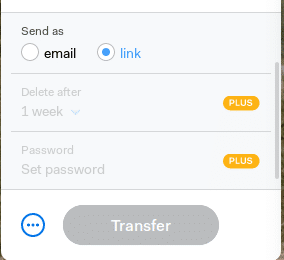 Additional options like protecting the files with a password or setting a download expiration limit are only available in the Plus version of WeTransfer. This version offers transfers upto 20 GB at a time and a storage limit of 100 GB. More details here. 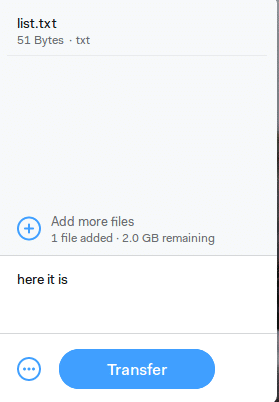 Once the files are uploaded, choose Transfer. Depending on the mode of transfer, the recipient can then download it. 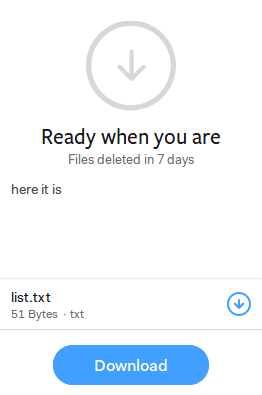 The uploaded files will be auto deleted in 7 days.